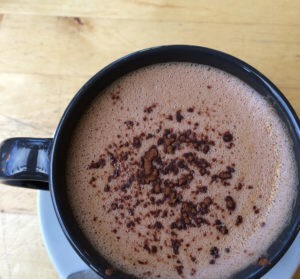 Focus on Haps: too much inspiration! The clocks have changed, spring is springing and it feels like the forces are aligning for one smashing KAL/CAL! …I am a little torn though! This is the pattern I had always *planned* to knit. It is the beautiful Hansel, by Shetland Trader Gudrun Johnston. 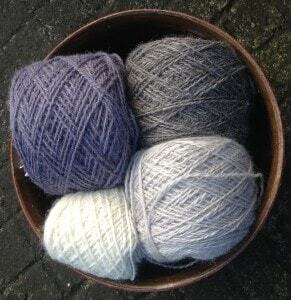 These are my yarns and colours which I plan to knit muted, from lightest to darkest (I am aware that I need another light shade to make the journey from the white to light grey less jarring). 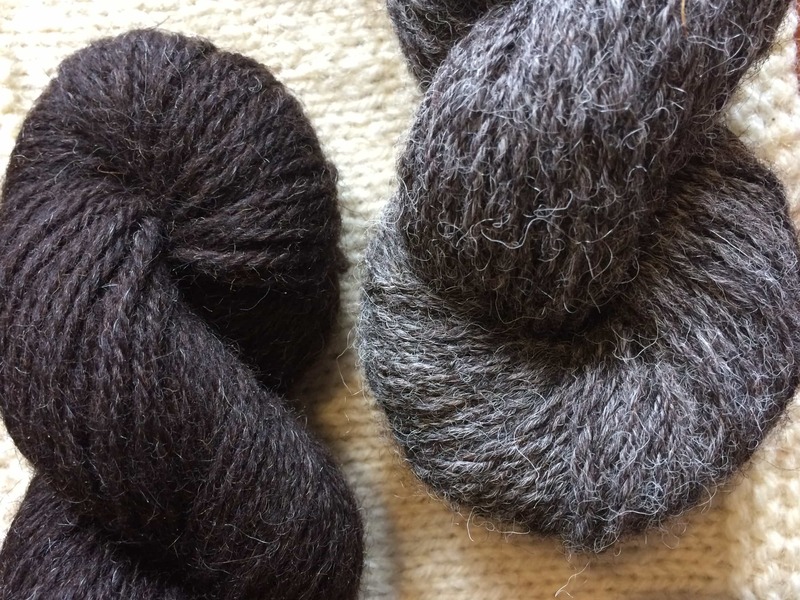 These yarns come from the Natural Dye Studio – who are sadly closing up shop soon – and were very kindly donated to me by the lovely evieandlilly – hence why I want to knit something special in them. They are all British breed wool and fibre: (clockwise from top right) 50% Wensleydale & 50% Zwartbles; 50% BFL & 50% Wensleydale; 50% alpaca & 50% Exmoor BFL and 50% alpaca & 50% poll Dorset. These yarns have soft, divine handles and I can’t wait to knit with them. The reason I wanted to knit Hansel is that I wanted to go for something that was as close to the traditional Shetland hap that I have known and loved for years. But having done hap inspiration posts for the last few Fridays I have really confused myself. Maybe I want a Flukra, a Sandness or a Kelpie! 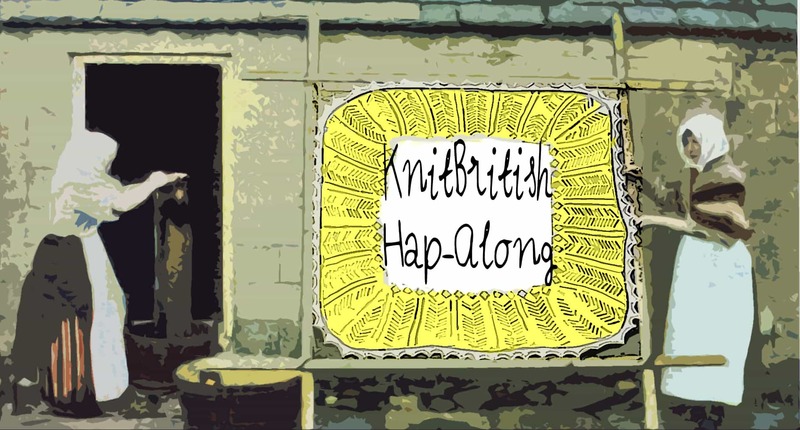 If I were to go stash diving for a fantasy second Hap – bearing in mind the hapalong runs from April to July as I think it will take me that long to knit ONE – I might go for the Kelpie (and I do have the pattern) It is a half-hap and I really love how contemporary it looks here. Did I say “fantasy stash diving”? Whoops! With Skein Queen Oosie as a main colour and some flashes of Jamiesons of Shetland (and a wee dash of green alpaca from Border Mill, maybe) and I could have all the makings of a lovely Kelpie. Except that the pattern requires 4ply and these are DK, so I’d need to tweak…..but this is all crazy, yes? two haps?! I think I better not get too ahead of myself! Hap-py CKAL prepping to you, if you are joining us. 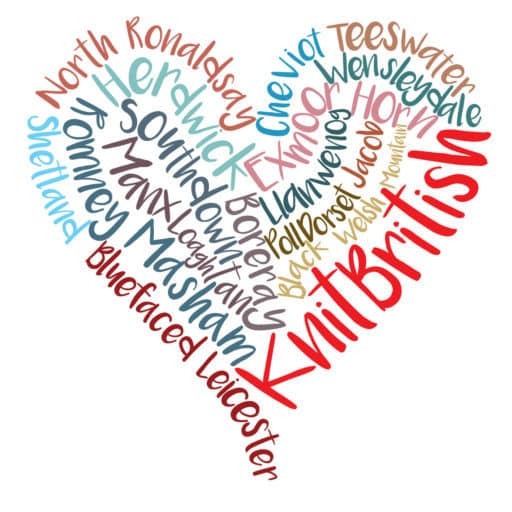 Remember it’s not to late to join in and if you are stuck for yarn choices in stash don’t forget that KnitBritish readers have some very lovely discounts at the moment. 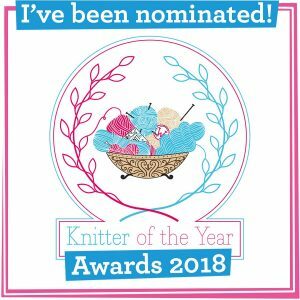 You can get 15% off at the checkout at Blacker Yarns with the code KNITBRITISH2015 and if you have time to spin, or fancy some hand-dyed for your hap head on over to Fondant Fibre (who *just had an update this weekend) and use the code MORESTASH for 10% off. Thanks so much to Blacker and Deb, at Fondant Fibre, for being so fantastic! How typical! I still go for hansel and I have my colours, ready for cast-on night. 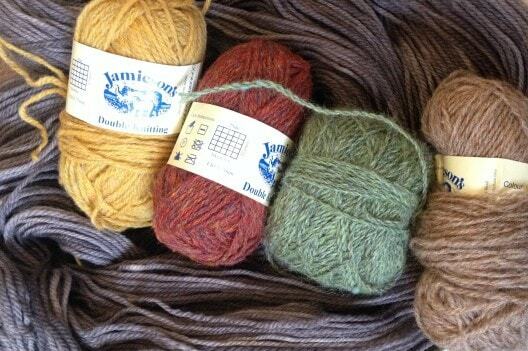 I am going for Harriet and have some wool from a small British company. Can’t wait to start!